Concours of Elegance’s Auction Partner, RM Sotheby’s, has just announced one of the incredible headline lots for its Monterey Sale – an ultra-rare Ferrari 268 SP. 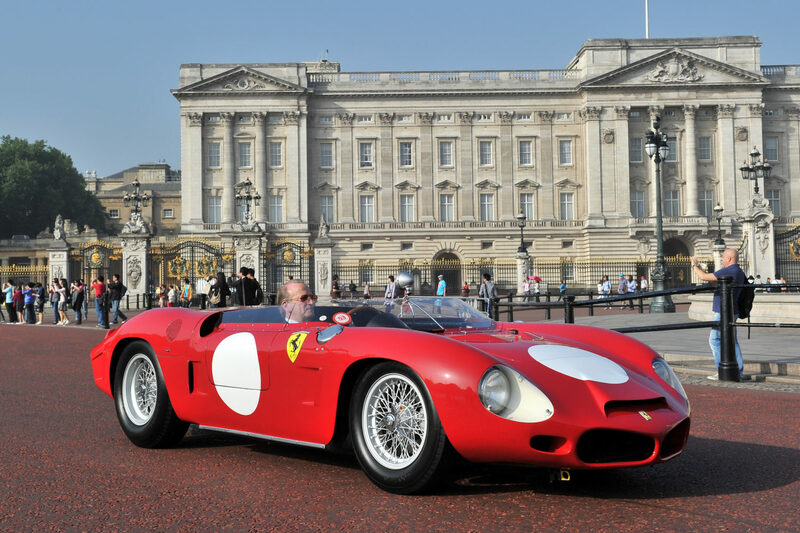 Visitors to the 2013 Concours of Elegance at St James’s Palace will recognise it as one of the stars of the event; just one small part of this car’s incredible lineage. Chassis no. 0798 is the third of just six 268 SP examples originally produced, of which only five remain, and one of only two originally fitted with the outstanding 2.6-liter eight-cylinder engine. It is further differentiated from its peers by its unique shark nose along with its cut down windscreen and lowered tail which make for a sleek profile. The car was integral to Ferrari’s testing at Le Mans in 1962, being the factory racing and development car and subsequent Works entry at the 24 Hours of Le Mans that same year. It was later sold to North American Racing Team (NART) owner, Luigi Chinetti, who campaigned it under the NART banner from late–1962 through 1963, including at such events as Bahamas Speed Week, Sebring and the Canadian Grand Prix. The RM Sotheby’s Monterey Sale takes place on August 19-20.